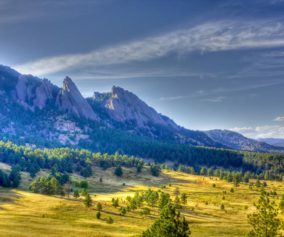 Before you start this hike there are some things you should know – a Colorado State Park Pass is required to enter Golden Gate Canyon State Park. A day pass can be purchased at the Visitors Center upon entrance into the park. 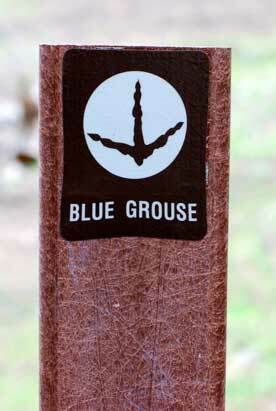 Some trails offer passes at self-serve dispensers, but the Blue Grouse Trail does not. To get to the Blue Grouse trailhead, pass Kriley Pond and take the first right at Mountain Base Road. The trailhead parking area is to the right at the fork in the road. At the trailhead you’ll find picnic tables. There is a porta-let at Kriley Pond and there are restroom facilities at the Visitors Center. 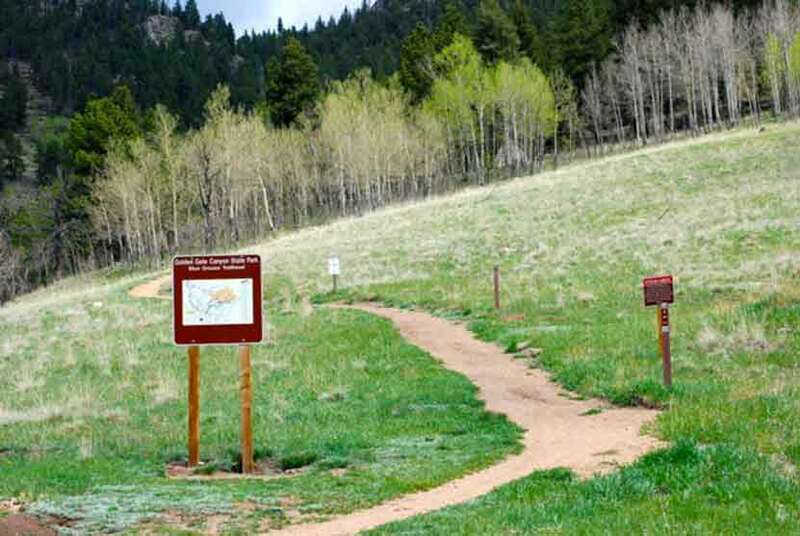 Below you’ll find more details on the trail, Kriley pond, and some information on camping at Golden Gate Canyon State Park. You’ll make your way along a nice dirt path with a few rocky sections. 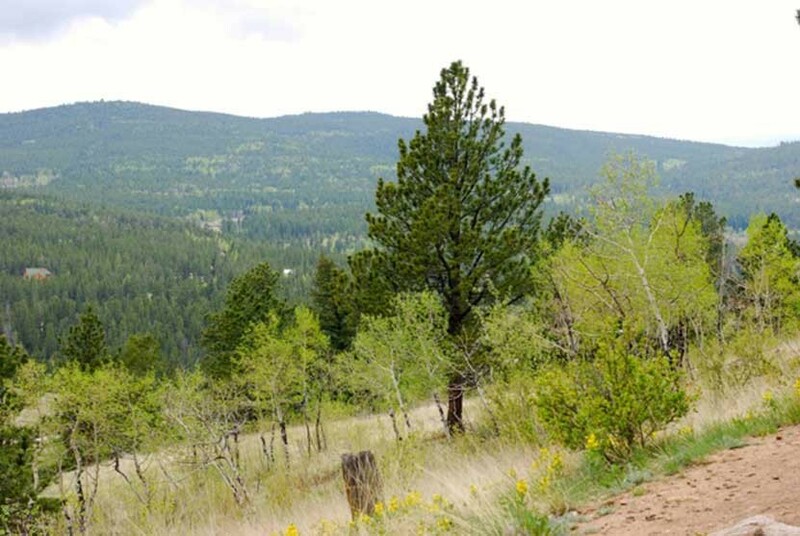 The elevation gain is slight, and this short hike can be turned into a longer one by joining up with the Mule Deer Trail where the Blue Grouse trail terminates at .7 mile. Mule Deer Trail is a 7.4 mile loop, and there is a Golden Gate Park map at the trail intersection. The Blue Grouse Trail is a popular trail for mountain bikers who use it to access the longer trails in Golden Gate. Mountain bikers in Colorado are typically very considerate of hikers, but just be aware that you’ll be sharing the trail with others. After the initial rise, the trail is more gentle as it ascends the hillside. 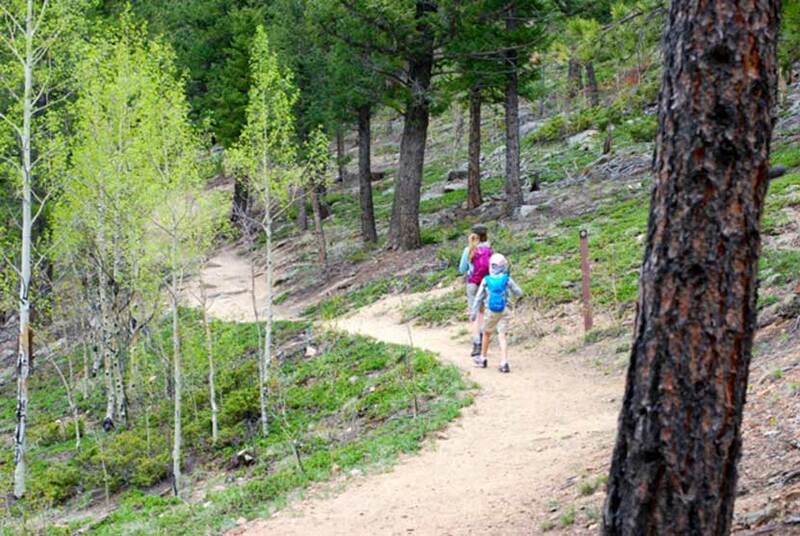 You’ll be drawn to the rock outcroppings ahead and a beautiful grove of aspens. 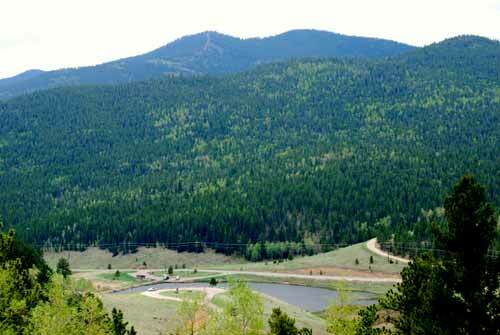 Kriley Pond is a popular fishing spot in Golden Gate Canyon State Park. In the fall, the hillsides are peppered with the golden glow of Aspens.The early morning hours are the best time to visit if you want to soak in the songs of Colorado songbirds before families and fisherman arrive. Fishing in Kriley Pond requires a Colorado Fishing License. 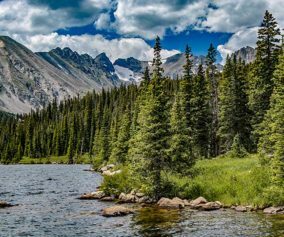 There are several other ponds to visit at Golden Gate Canyon, including: Ranch Ponds, Slough Ponds, Dude’s Fishing Hole, and the pond at Forgotten Valley. My boyfriend and I hiked this trail last April when there was still snow on the ground and it was fantastic! Beauty all around you and I personally, loved that there was still snow! We also camped in a Yurt which was wonderful. The Yurt is heated with log cabin style bunk beds and a small ground grill to cook with located outside just off the deck and a picnic bench as well. We did learn that you can not hang hammocks from the trees which we didn’t know. Hope to go again this spring! Not as family friendly as we had hoped. The first major issue is the 14 miles of winding road to get up to the trailhead. If you have young kids that get carsick easily I would save yourself the trouble and stop at Galbraith trailhead that you pass on the way up. The initial incline from the parking lot is pretty steep and I would not suggest for kids or out of state visitors. Lastly, I would only go during summer months. We went in February at it was cold and windy!